Atlona announced that D&H Distributing Company, a technology distributor of IT and electronics, has become its first manufacturer’s representative to focus exclusively on IT professionals tasked with managing AV systems over the network. Based in Harrisburg, PA, D&H Distributing Company will represent Atlona on a national basis, with an emphasis on marketing Atlona’s AV-over-IP solutions to its Small-to-Medium-Size Business (SMB) customers. 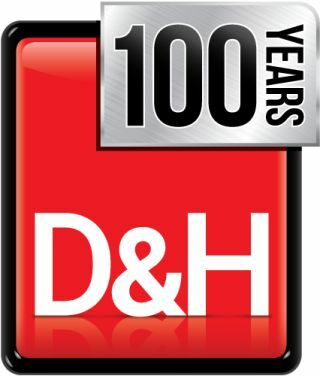 Since its founding in 1918, D&H has evolved to focus on vertical markets such as cyber security, data center and cloud infrastructures. More recently, the company has aggressively targeted the commercial AV, digital signage space, and collaboration through its SMB division, with an emphasis on corporate, government, education and houses of worship. Pete Hurley, sales director for D&H Distributing Company’s SMB PROAV Division, notes that Atlona products are a seamless complement to the bill of material requests from our reseller community. “Atlona’s inclusion in the projects calling for Cisco, Intel, commercial displays, integration projectors, screens and mounts provide an important differentiator from competitive IT distributors that lack a strong AV-over-IP partner,” said Hurley. D&H and Atlona will work closely on training and education initiatives for IT resellers still learning their way with AV-over-IP technologies. The two companies will also demonstrate Atlona AV-over-IP products at the upcoming ChannelCon 2018 (CC18) show (Booth 1227), taking place at the Marriott Wardman Park, in Washington, D.C., from July 31 to Aug. 2, 2018. Atlona and D&H are both corporate members of the Computer Technology Industry Association, better known as CompTIA, a leading trade organization serving the IT industry.